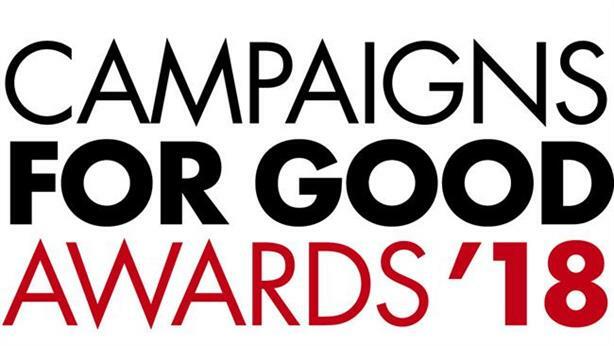 FCB Inferno was the big winner at the inaugural Campaigns for Good Awards, a new initiative from PRWeek, Campaign and Third Sector. The scheme is an opportunity for agencies, charities, NGOs and public bodies to prove their ability to produce creative and effective good-cause campaigns for clients, and for brands to showcase their corporate social responsibility. There were 15 awards, including 13 spilt between Brand Led, Public Sector, Charity or NGO and Multi-Organisation categories, plus the overall Agency of the Year and Campaign of the Year awards. FCB Inferno was named Agency of the Year after being involved in several winning and highly commended entries, a testament to its success in cause marketing. Campaign of the Year was won by Small Talk Saves Lives by Pegasus for Network Rail, Samaritans, British Transport Police & Rail Delivery Group. We would like to thank the esteemed panel of industry professionals who judged the awards (see box). Best Public Awareness Campaign: Trust Your Touch by Fold7 for CoppaFeel!